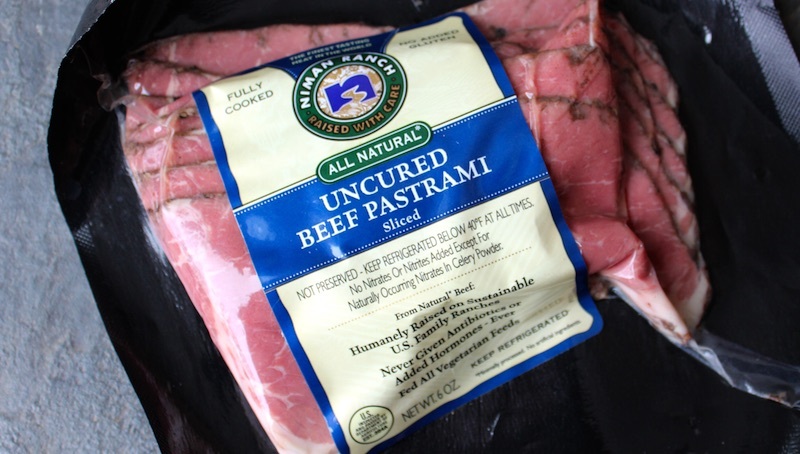 Perdue Farms, the 800-pound gorilla of the poultry business, has bought the Niman Ranch brand in a move that's seen as its "transformation into one of the largest suppliers of premium meats," according to an article in the New York Times. You may recall that, in 2013, Perdue bought the assets of Washington state's Draper Valley poultry brand in a bid to expand into the "natural" and "organic" arena. It was way back in 1969 that Bill Niman moved from Minnesota to California to accomplish what a rock anthem of the time urged: "Got to get back to the land and set my soul free." Starting with a few pigs, goats and chickens, he gradually switched to raising cattle. When the property was bought by the State of California for a cool $1.3 million to make Point Reyes National Seashore, he began production in earnest, marketing his "natural" beef under the Niman Ranch label and taking on investors. In 2007, Niman left the company in a dispute with his partners over the changes they were making in the animal husbandry protocols he had established. He returned to raising cattle on pasture and without the use of hormones and antibiotics under the new BN Ranch brand. (He was contractually prevented from using his own name on the new brand.) How the sale to Perdue will affect the Niman Ranch business, and its reputation, is a matter of speculation. 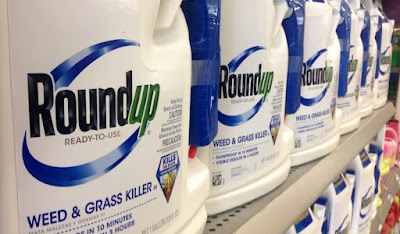 In a "notice of intent" issued in early September, California's Office of Environmental Health Hazard Assessment (OEHHA) has said it plans to label glyphosate, an agricultural herbicide and the main ingredient in Monsanto's Roundup, as a chemical "known to the state to cause cancer." In addition, an article in the East Bay Express noted that research by the World Health Organization (WHO) recently found that glyphosate "is probably carcinogenic to humans" and linked it to "the steep decline of monarch butterflies." 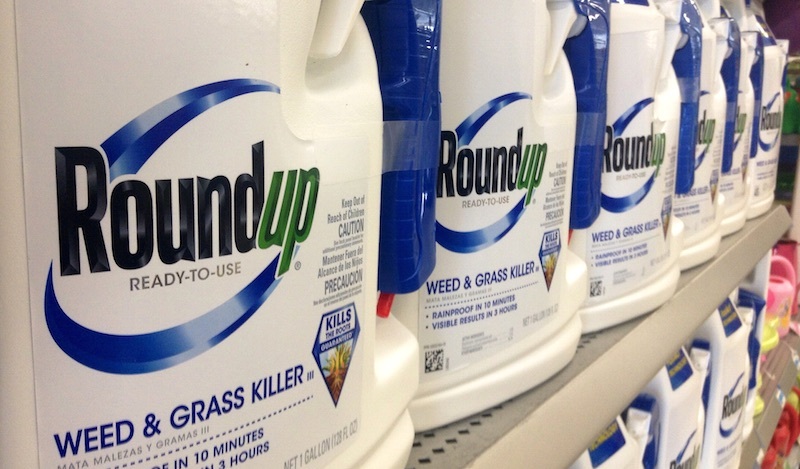 It also reported that there are "new alarms about potential negative health impacts tied to Roundup," including a recent study suggesting that "long-term exposure to tiny amounts of the chemical (thousands of times lower than what is allowed in drinking water in the US) could lead to liver and kidney problems." So if you're walking down the street with your dog and notice your neighbor out with a sprayer attached to a jug of the stuff, maybe cross the street and avoid that place in the future. And in more Monsanto news, this time about its products that contain genetically modified organisms (GMOs), the New York Times reports that—no surprise here— the company has been paying off academics to say nice things about them. The article said that an e-mail the company sent to an academic researcher gushed that "professors/researchers/scientists have a big white hat in this debate [about GMOs] and support in their states, from politicians to producers. Keep it up!" In what it calls "a billion-dollar food industry war," companies like Monsanto and, to a much lesser degree, even some organic food industry companies have funded academic research to try to sway public and political opinion in their direction. It quotes one academic as saying, "They want to influence the public. They could conduct those studies on their own and put this information on their website. But nobody would believe them. There is a friggin’ war going on around this stuff. And everyone is looking to gain as much leverage as they can." 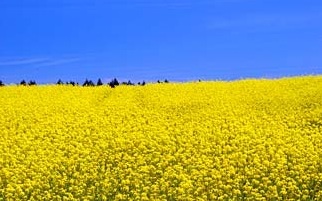 Photo of a field of genetically modified canola in Washington County in Oregon.